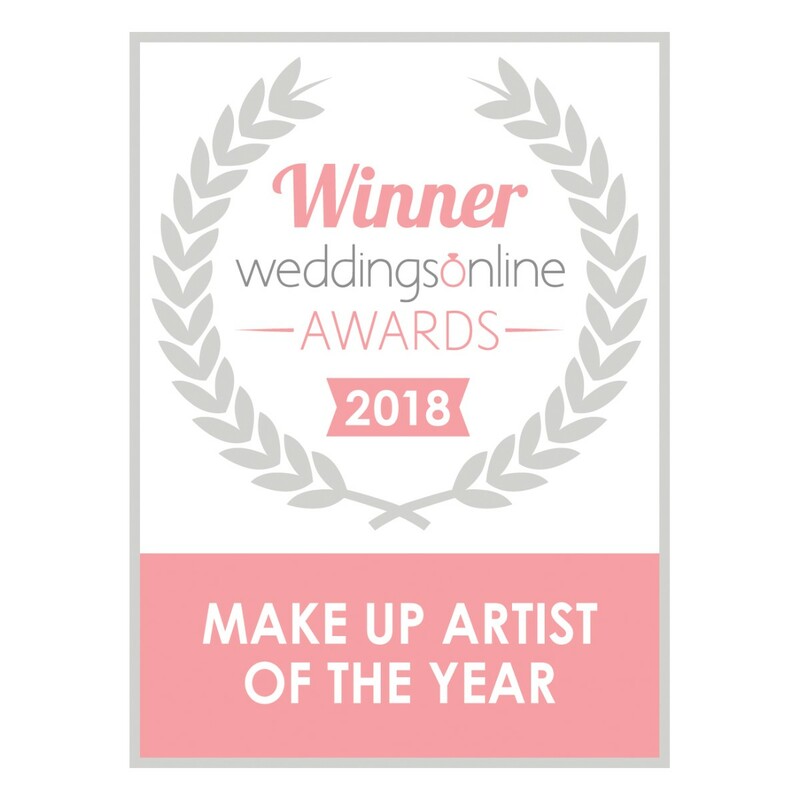 Danielle Mahon is one of Ireland's Leading Professional Makeup Artists and has won the Makeup Artist of the Year Award in 2016 and 2018. She is over 10 years in the industry and has worked and trained with Giorgio Armani and M.A.C Cosmetics, the world's most well known and adored cosmetics brands. Danielle absolutely prides herself on her work and has nothing but the highest standard. 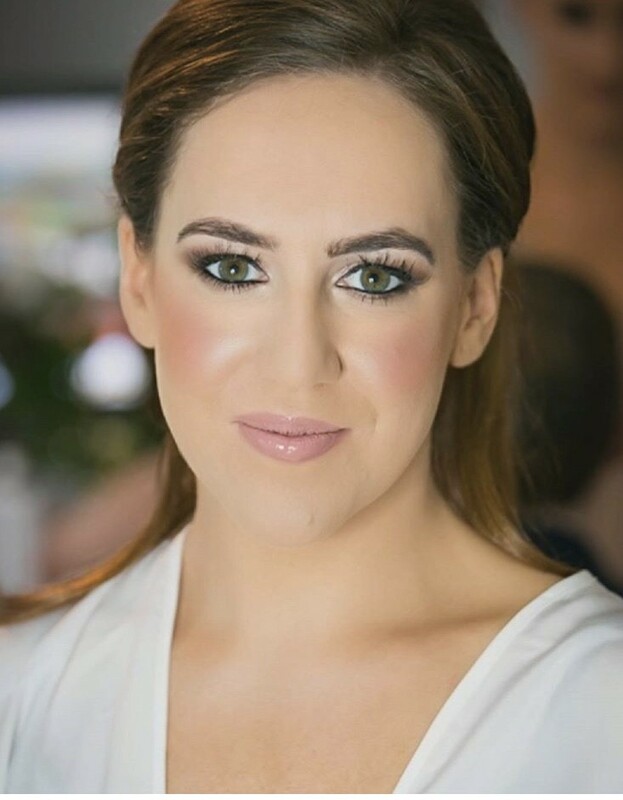 Danielle can offer her expertise in Bridal Makeup and has also worked for top selling Irish Magazines and newspapers such as RSVP, Irish Daily Mail.,Evening Herald, Woman's Way, Tatler, U magazine and RTE's "Off the Rails". She has also worked with celebrities such as Gok Wan, Vogue Williams and Imelda May.
" I have always considered myself lucky to work in a job which I love. Being part of such an intimate event in someone's life is humbling. As a professional Makeup Artist and tutor I have learned that while every face is different the desired result is always the same - every bride deserves to look flawless and with the right makeup perfection is possible. Offering my skills to create an aura of perfection on such a special day is incredibly satisfying"
To avoid disappointment please contact Danielle to check availability. Danielle is very professional - she is very responsive to emails which is so important for people living abroad! I love her style and her work is fabulous! I knew I wanted Danielle to do my wedding makeup from the outset as all of her pictures are amazing! I was thrilled she was free and she did such a wonderful job on the day! She was friendly, so relaxed about everything and was so professional, 5*!!! I was the mother of the groom . Danielle and her assistant did the makeup for the bridal party. I like a subtle makeup look but knew I would need make up that would last the day and look good in photos. Danielle listened to what I wanted and I was thrilled with the result. Danielle and her assistant were amazing for my sister’s wedding. Punctual, reliable, and professional; she listened to all of my sister’s requests and did exactly as she asked in a kind and gentle manner. She also did the make up for 3 bridesmaids and 2 mothers and nothing was too much trouble for her and her team. Absolutely amazing results which everyone was very pleased with, and we received lots of compliments on the day. I can not recommend Danielle highly enough. Super organised. Efficient. Fun. Attentive. Open to the needs and expectations of the client. Stressed before she commenced felt incredibly after. Make up absolute perfection throughout the day. 5 star experience and result. Danielle was perfect to deal with from start to finish, so calming on the day and great fun to be around. I'd highly recommend Danielle for any future brides! Danielle was amazing from the moment I met her. She did an amazing job on the day of my wedding. She was so kind to my Mam and everyone’s make up looked fab on the day. I couldn’t recommend her highly enough. Can't recommend Danielle enough. 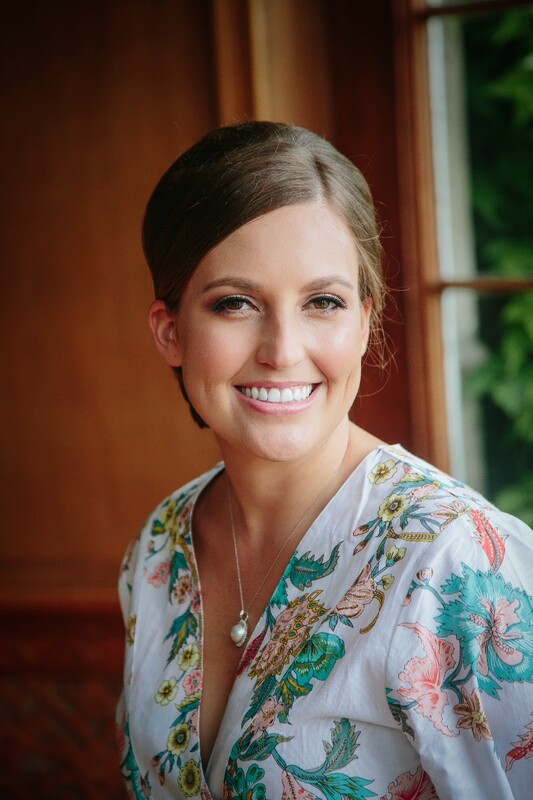 I love getting my makeup done for events and have tried so many different makeup artists but with Danielle my makeup was really something special - perfect for my wedding day. She looked after 7 of us on the morning of the wedding, ages ranging from 15 to nearly 80, and every one of us loved the makeup. She's just brilliant at what she does and so easy to deal with too ? Danielle was so wonderful the day of the wedding. She has a calming presence. She was so fun to be around. I adored my makeup and she helped with my dress. I would highly recommend her to any brides to be. It was a pleasure to work with Danielle. Her work is amazing but most importantly she was incredibly professional and was a source of calm on what was otherwise a hectic morning. It is so important to get to know your make up artist and Danielle made this so easy. I would highly recommend Danielle. There were no questions about who would be our makeup artist on my big day. It had to be Danielle. Having had my makeup done with her before and seeing her amazing work on my sisters big day I knew she would never disappoint!! As well as being so amazing and professional at what she does Danielle makes everyone around her feel so comfortable and at ease!! Danielle was the perfect pick for me and my bridal party! She was a great mix of professional and laid back - she really helped the set the mood leading up to the ceremony. I was very apprehensive when selecting a make up artist because I really wanted all the ladies to look like an enhanced version of themselves on the day, rather than like they were wearing a mask. Danielle hit the mark, without question! All the looks requested were quite different (ages ranging from 30 to 65), but everyone looked stunning and confident. Thank you so much Danielle! You are fab!! Where to start! I am extremely picky (as is my mom) with make up and Danielle worked magic to ensure our make up was exactly as we wanted it! I didn't have to the touch up or 'fix' anything which is what I have had to do any time I've got make up in the past! She is extremely talented and deserves every award there is for make up! She doesn't just apply one look to all she takes her time to ensure everyone looks perfect and is happy. Danielle very kindly agreed to do make up for my wedding when we found ourselves a week out from the wedding with no make up artist due to a late cancellation despite it being her day off so we are extremely grateful that she was there and ensured myself, my mom and all the bridesmaids looked and felt amazing! Any bride would be lucky to have Danielle as their make up artist! Very professional from start to finish and made me feel very comfortable and relaxed throughout. Would highly recommend to future brides. Danielle was amazing. From the initial contact to the last second we were delighted with her. Danielle is an incredibly talented and professional person who is passionate about what she does. I would happily recommend Danielle to anyone looking for the best out there. I'm so fussy when getting my makeup done and generally find fault in something but I can honestly say that I was absolutely over the moon with my makeup on my wedding day. She is so talented and was an absolute sweetheart on the day of the wedding...she just fit right in and everybody fell in love with her. It's no wonder she has such a good reputation, she is a perfectionist and made sure each and every one of us were happy with our makeup and looked flawless on the day. It was such a pleasure to have Danielle looking after us on the morning of my wedding. At the trial she was so helpful. I was very happy with my makeup on the day and it lasted all day and night. I would highly recommend Danielle. I'm so sorry this has taken so long. But I just want to thank you for the beautiful job you did on my make-up for my wedding day in July. My bridesmaids and mother looked absolutely stunning too. We couldn't have been happier with how we looked and have no problem recommending you to others. There are pictures of you helping me into my shoes too - ha! Not exactly part of your role - you were like an extra bridesmaid!! Lol! ???? Danielle was fantastic, so calm, professional and relaxed. We all loved our make up and it lasted all night long! I've recommended her to friends and family since and I'm delighted that she's doing so well. Danielle was amazing from start to finish!! So professional yet relaxed and warm. Make up was flawless, natural and lasted all day. I could not recommend her highly enough, just FAB!!!! I couldn't have asked for a better makeup artist than Danielle for my wedding day. As someone who's not overly familiar with makeup and had no real picture in my head of what I wanted, Danielle was able to work with me and the results were way better than I could have imagined. She is so friendly and slotted in so well the morning of the wedding, making everyone feel so relaxed. I got so many compliments the day of the wedding, I would recommend her to any future brides!! She's a little star! I was recommended Danielle through my photographer and I couldn't of been happier. Danielle was so lovely and professional! I, along with my bridesmaids and mother were delighted with the results. The make up looked fab on everyone! I felt good, it looked amazing and best of all it lasted well into the early hours! I would recommend her in a heartbeat! Danielle did a fantastic job on my make up for my wedding and for my bridesmaid, we both really loved it. It was very natural which was exactly what I had wanted and not only lasted all day but all night too! I did a make up trial before my wedding and would really advise these as I knew exactly what my make up would look like on the day which was one less thing to worry about. 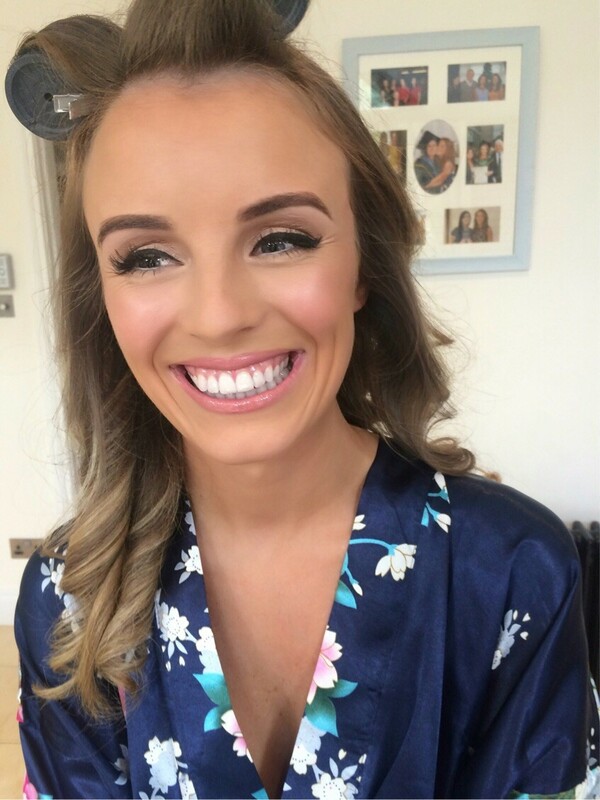 I really couldn't have been happier on the day and would highly recommend Danielle to anyone looking for a professional make-up artist for their wedding or any special occasion for that matter, it was a pleasure to have her there the morning of the wedding. Danielle was very lovely, very friendly & calm she took control of the wedding morning and made sure in the mist of visitors coming in and out and all the goings on associated with a wedding morning our make up was finished to perfection she is a lovely person to deal with as well as a brilliant make up artist I would not hesitate to recommend her. Danielle was so pleasant to deal with and very prompt to respond to emails on the run up to the wedding. On my wedding day she was absolutely brilliant, she just slotted right in and got the work done. We were all delighted with our make-up on the day and it lasted so well. I have already recommended Danielle to a few people that I know are planning weddings. I couldn't recommend her highly enough!! Danielle was a pleasure to have around. She was very friendly and calm and of course I couldn't fault her make up. I would highly recommend her to anybody looking for bridal make up. Danielle was the most fantastic make up artist. It was the one thing that I was so confident about in the run up to the wedding. 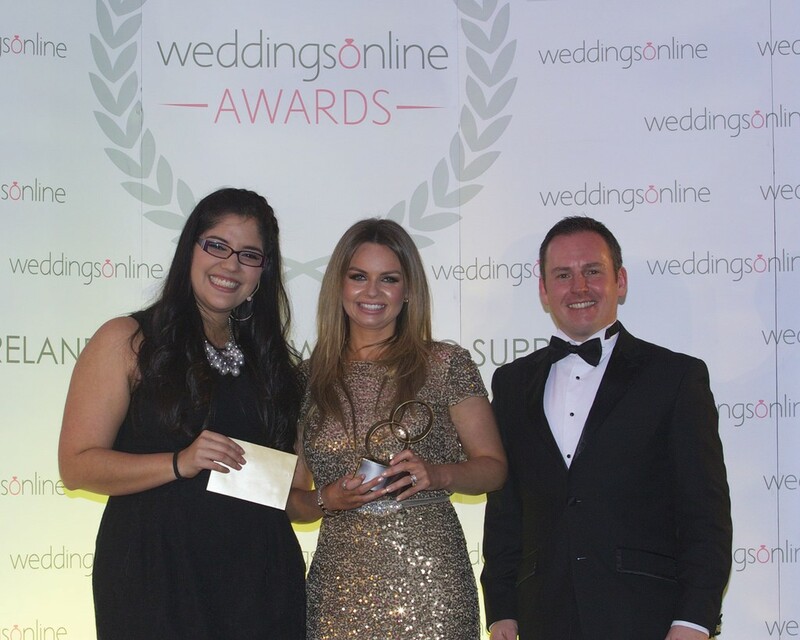 Danielle met with us to do trials and discuss what the whole bridal party wanted. She was so fantastic to have around on the day, such a lovely warm presence on the morning!! I cannot recommend Danielle highly enough. She is amazing!! 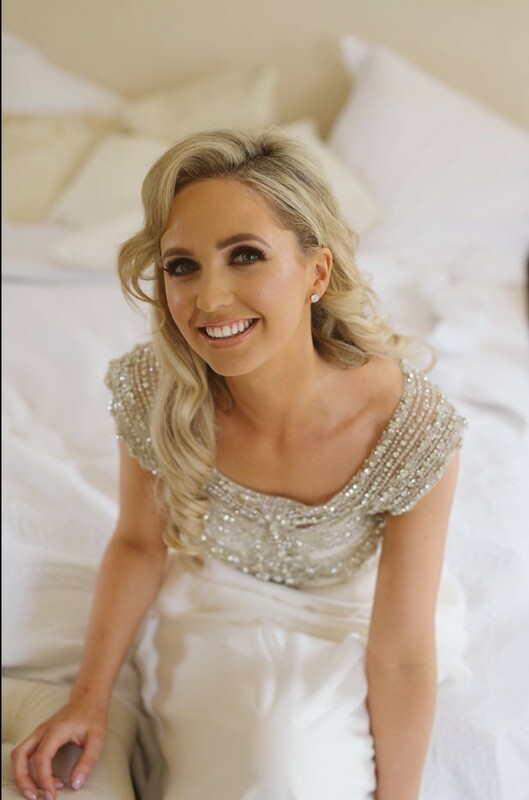 I had Danielle for my June wedding and from the very first time I met her I felt at ease and confident that she knew exactly how I wanted my make up to look for my big day. When I went for my trial I fell in love with the look Danielle created for me she really listened and took on board all my worries and fears about the look I wanted to go for witch was a 1950's red lip and winged eye liner. Her studio is beautiful and such a relaxed atmosphere while you are there. When my big day came I was overwhelmed by the compliments I received from my family and friends I felt like a million dollars ????. Danielle came highly recommended to me and I'm delighted I came across her and I look forward to using her again for future events. From first point of contact with Danielle she was so friendly and professional. Made me feel very relaxed. 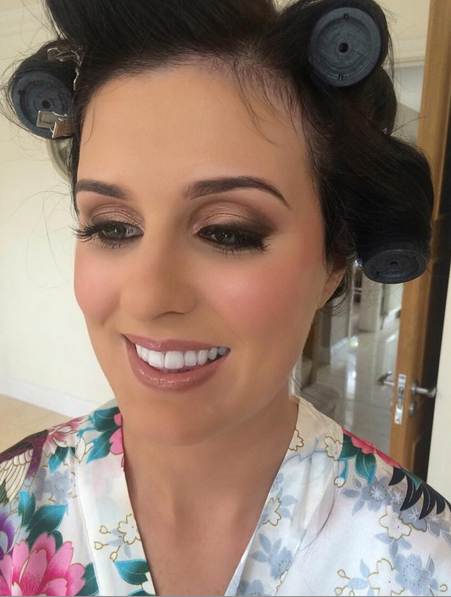 I was so happy with my trial.Morning of the wedding Danielle just fit in perfectly she was amazing she did myself my 2 Bridesmaids and my mam and we had lots of time.Danielle was not just the make up artist on the morning she was helping my mam get ready too and stayed right up until we left the house that morning. Couldn't recommend Danielle enough. 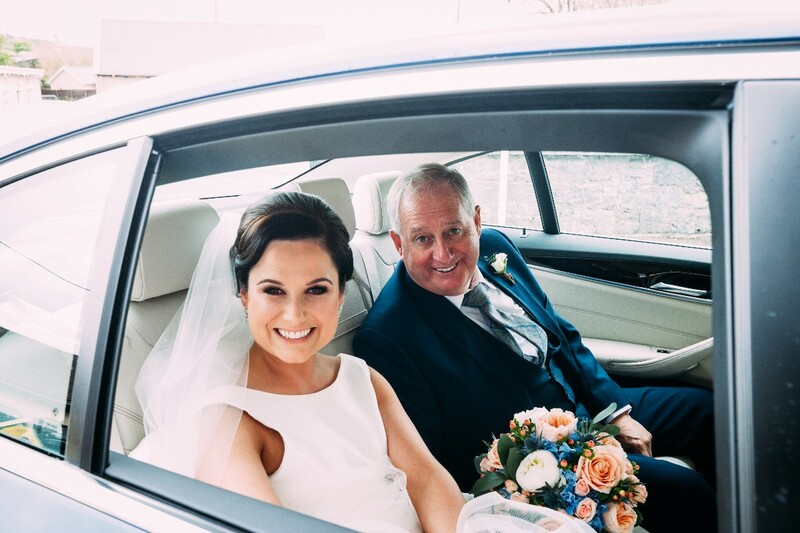 Absolutely delighted that danielle did my wedding makeup, from the moment i met her i knew i was in safe hands. The makeup lasted all day and night. Danielle was great to have around that morning she even had breakfast with me and my family. Cant thank her enough. Danielle did the make up for my wedding along with 4 bridesmaids and my mam. Everybody was delighted with their makeup! My sister was quite fussy in what she wanted but Danielle listened to everyone and gave them exactly that. My makeup was still perfect in the residents bar and many people commented on how it hadn't budged. Danielle was great in the lead up to the wedding, giving advice on skincare and makeup that would suit our skin tones. When she wasn't happy with the trial she insisted on me coming back for a second one free of charge! She really wanted to make sure all was as perfect as it could be. Danielle was great to have around on the morning of the wedding. She arrived exactly on time (I still hadn't had my shower!!) and fit in perfectly with all the girls. She also worked really well with the hairdresser. She made me feel so at ease and stayed around until we were all in the wedding car just in case any final touches were needed. I honestly could not recommended Danielle more. Since my wedding 5 of my friends have booked her for their weddings. My sister also tried but she was already booked. She's devastated! So get booking early! Danielle is the perfect makeup artist to make you look & feel only fabulous on your Wedding day. She had myself, 2 bridesmaids & my Mam. My skin is not too good & that made me nervous but Danielle managed to make me look flawless, with the perfect Wedding Make-up. I loved it & she created the look I asked for and more! My 16yr old daughter was one of bridesmaids & I wanted her to look natural, not too grown up & Danielle really listen to what I wanted and did a superb job on her. She is very professional & her attention to detail is second to none! I would highly recommend Danielle from start to finish if your looking for a great, confident, friendly but professional makeup artist for your big day. Danielle was the makeup artist for my bridal party last year. She did an outstanding job on all our makeup and she is a true professional. I would highly recommend her to any future bride as she is definitely one of the best their is. Being a make up artist myself I am extremely fussy when it comes to makeup so having heard of Danielle on the make up scene myself & my sister decided to meet up with her. She is so professional and an amazing artist. She knew exactly what we wanted when we described the look we were going for & we were trilled with how everyones make up turned out. She was great to have in the house on the morning of the wedding & is a genuinely lovely person. I would highly recommend Danielle to other brides. Danielle was amazing. She did the make up for myself, my 3 bridesmaids and my mum. We were all delighted with it. The make up stayed on for the day. No touch up was required! Most importantly Danielle was a pleasure to have in the house. She even noticed while we were all happily chatting that we actually needed to start getting dressed! Only for her we would have been extremely late to the church!! Since my wedding we booked her for my sister's wedding last week and we have also booked her for my other sister's wedding next year!! I cannot recommend her enough! She's great at what she does!!! Thank you Danielle!! Danielle is an amazing make up.artist.from trial to the big day, she advised me on my skincare routine & recommended some fantastic products for my skin tone which i still use today! she knew exactly how to enhance my best features and make me look aisle fantastic. She was so at ease dealing with myself and all my bridal party. Shes also a lovely person the type you need to keep you calm & looking fab on the morning of your wedding. I recommend her highly to everyone I know for special events as well as weddings! Danielle put my-self and my bridal party at ease straight away.She was efficient with time management with my large bridal party's .My make stayed all day and looked fab in my photos.Couldnt recommend Danielle enuff,my bridesmaids were so happy they asked Danielle to do there wedding make-up too. My brother got married last year so myself, my sisters & my niece booked Danielle to do our make up. We only have one brother so we wanted to make a big effort for the day. Danielle was absolutely fantastic! We were all rushing around helping our brother and Danielle remained calm, professional & had an amazing ability to keep us all calm. Myself & my sisters all had different requests for how we wanted our make up done & Danielle took everything we said on board & the final result was gorgeous. Our make up looked lovely on the day & that evening, the make still looked perfect! We all got some many compliments & we have all recommended Danielle to our friends. Next to finding that perfect dress for the day, finding the perfect make-up artist was the most important part of my wedding. Danielle was a sensation and looking back at the pictures taken of the day, you can see the flawlessness in her work. She was so friendly and attentive on the morning of the wedding, a time when nerves can get the better of you. Not only was the make-up she did absolutely perfect but her friendliness added that little special bit to the whole experience. It's not just about the make-up but the service too. Danielle could not have been better. I would highly recommend her to any future brides. I had the pleasure of having Danielle as my wedding make up artist. Quite simple I wanted the best, it was my wedding and I wanted to feel secure in knowing I had a professional and amazing make up artist. From the time I first contacted Danielle she was friendly, professional and prompt. She was great in answering any questions I had and on my wedding day she was fantastic! 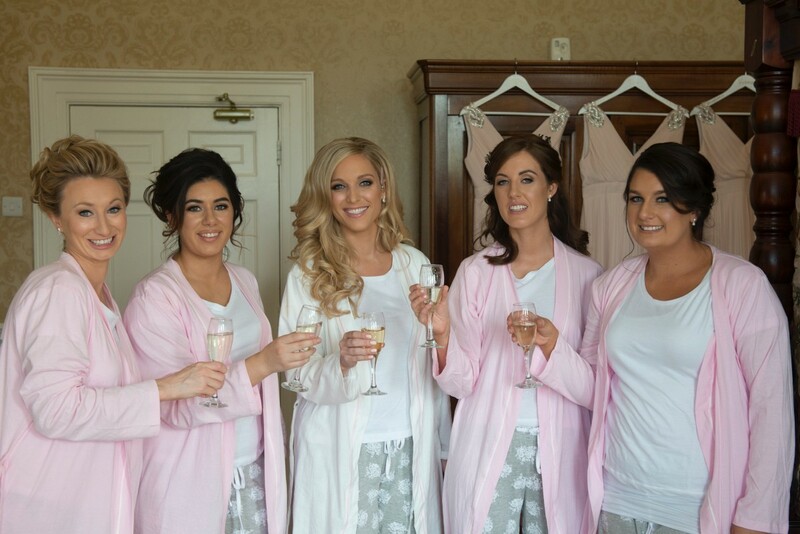 I loved my make up and my bridesmaids make up and have no problem in recommending Danielle to anyone. 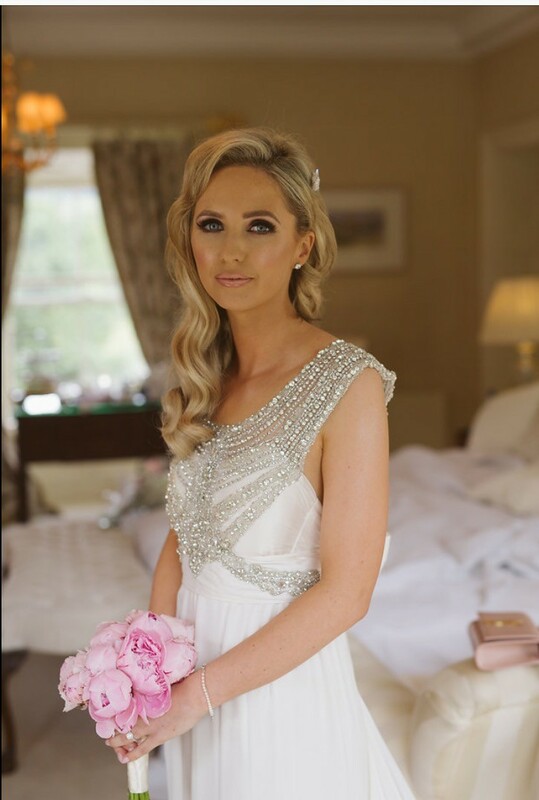 Danielle was the perfect choice of makeup artist for my wedding day in August 2013 & I have gone back to Danielle for many special occasions since. I first met Danielle a few months before my wedding for a makeup trial and I knew straight away she was the one I wanted to do my & the bridal party's makeup on the big day. 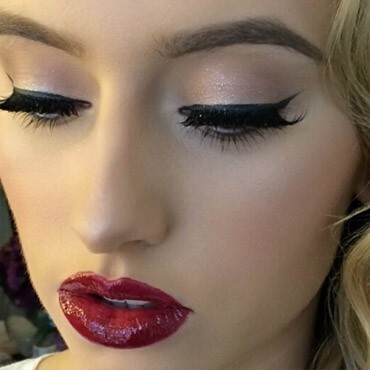 Danielle is so friendly, really listens to what you want for your makeup and works with each person individually. Nothing is too much work and she put myself, my mother & my two bridesmaids completely at ease from the moment we met her, we had complete confidence in her. Danielle is relaxed, a complete professional and fantastic at what she does. She is patient and flexible and made the trials & the 'getting ready' part of the big day itself not only easy but really enjoyable & fun. Danielle is the most talented makeup artist I have come across and I always recommend Danielle to anyone I speak to about makeup for weddings & other occasions. Even before my wedding day Danielle's professionalism shone through.Her attention to detail is so good better than any other make up artist I attended before. She could adapt techniques for all ages and colouring as she did also an outstanding job with my bridal party. She is a perfectionist at best. Danielle Mahon was a dream come true on our wedding day. Besides being (obviously) incredibly talented and professional, she is adept at knowing what will look fabulous on any face. Danielle did the makeup for me and my 2 bridesmaids and was patient and kind the entire time she was with us. Her skills know no bounds and we had such a laugh together. She helped me to feel relaxed and treated the day as if it was the most special wedding she had ever worked on (she even brought berocca for me because I was dying of a virus!). Danielle is absolute perfection and I would have no hesitation in recommending her to any bride. Danielle really is amazing at what she does, I had a few trials off other make up artists before I found her but no one else compared. I told her I didn't want the usual natural bridal look and she suggested a red lip which was just gorgeous. My bridesmaids make up was amazing they looked stunning and everyone was complementing us, even now when I look back on my album my skin looked so flawless. I'd highly recommend her and I think about 5 of my friends have used her since for their weddings, she's such a nice girl aswel and was lovely to have on the morning. We all had a great laugh getting ready. Anyway my advice is book Danielle you won't be disappointed! I asked Danielle to be my wedding makeup artist and I was so happy she was free!!! She's a very sought after and busy artist! My trail was perfect. She was so professional and took my "full on Kim Kardashian" vision and turned it into the perfect bridal makeup. On the day itself, not only was my makeup perfect, but she was very relaxed, calming and reassuring to be around. It's a nerve wrecking morning and having her there just added to the support any bride needs on the day! Couldn't recommend her more. I can think of 6/7 of my friends weddings she's done since mine and I'm happy she's doing so well! Danielle was fantastic. She was very patient with me and my fussy bridal party! She was so relaxing to be around and very professional. We were all really pleased with our looks and would highly recommend her. From my trial to the day it's self Danielle was amazing in every way. She really listens to what you want and makes great suggestions. She has incredible talent and not only is she a fantastic make up artist but she is such a great support to have around on the morning of the wedding. I have recommended her to others and will continue to recommend her too. 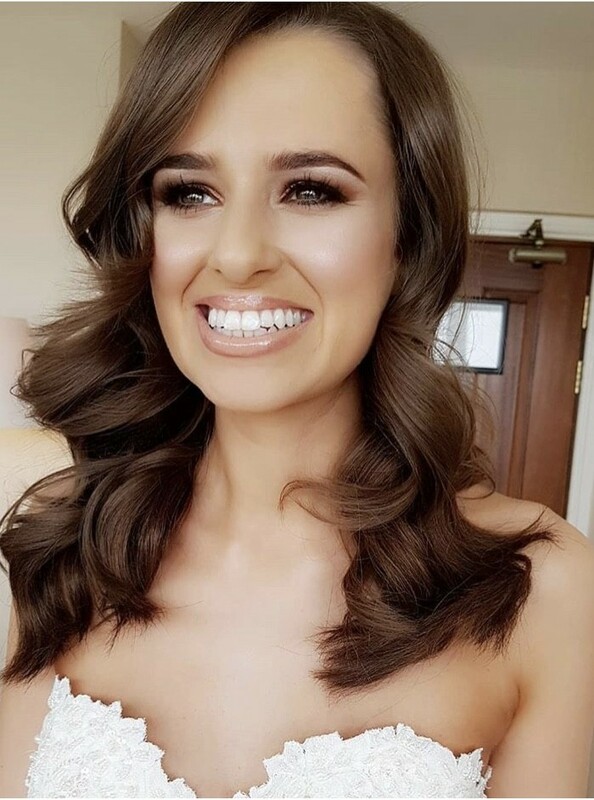 Danielle did the make up for my wedding and all the bridal party, she did an amazing job and was an absolute professional on the day but felt like she was actually part of the bridal party as she was easy going and friendly to work with. Danielle was recommended to me by a friend, she has been the make up artist for many friends based on word of mouth. The make up was flawless and lasted the entire day. Danielle was very flexible and even fitted me in even though she had another wedding on the same day as I had an evening wedding. Everyone loved their make up and my mum who had said she wasn't going to get hers done even changed her mind on seeing the make up on my sisters. In all I would and have highly recommended Danielle to all future brides. I was recently at a wedding of a friend who used her on my recommendation and her family were also delighted with the results. A brilliant artist with a great personality. Danielle is the best of the best. I booked her for my wedding and she was the best person for the job. A true professional she arrived in plenty of time and was calm and relaxed. She took great care to do each of our makeup including my mum and sisters. We were overjoyed by the makeup and the look was flawless and truly stunning. Danielle is a great artist and understands how to make you look the best on your wedding day with such ease and flair. I wouldn't hesitate to recommend her to any bride and the makeup lasted throughout the day. Danielle did my wedding make up over 6 years ago now and I still regard her as by far THE BEST & ULTIMATE choice for a wedding. No matter what else happens as long as your face looks fab you will be ok! Don't hesitate to book if you can get a date. I loved my make up on the day of my wedding thanks to this wonderful lady. Danielle is absolutely amazing at what she does. She's a lovely person and makes you feel so special on the day. She always arrives on time and I was very happy with my make up on the day. It lasted all day with only a little touch up of lippy needed. All my bridesmaids and mother/ mother in law also where very happy on the day. Highly recommend her work. Danielle is absolutely the most fantastic makeup artist I've ever had. I cannot recommend her highly enough. Myself, my mum and three bridesmaids were all delighted with the results, the makeup looked flawless all day. She was also so friendly and easy-going, a pleasure to have around on the morning of the wedding. I used Danielle Mahon as my make up artist for my wedding. After having a trial with Danielle a few months before my wedding there was no doubt about booking her for my big day. She really listened to what I was looking for and gave excellent advise on how to care for my skin in the run up to the wedding. On the day Danielle also did the make up for the bridesmaids, my mother, my husbands mother and other guests too. This was no problem as she is so professional and worked so well along side the hairstylist and photographer. Danielle is so talented and uses only the best quality products. I was so happy with the makeup it was perfect and didn't even have to touch it up. I would have no hesitation in recommending Danielle for make up for any occasion as she is so passionate and a perfectionist in her field while offering excellent packages too. I would just like to say a huge THANK YOU for the fantastic job you did with all our make up (but esp mine) on the morning of my wedding. It was just stunning I was so happy with it and everybody commented on how fab my make up was.!! I will not hold back in offering out your number to any of my friends!! My mam has not stopped raving about how lovely you were also. she adored you!! anyway I have received a small selection of photos from Paul from the wedding and I am going to email you the link so you can check them out!!! Cannot thank you enough. Danielle is a wonderful make up artist. I am really into my make up so it was so important for my big day. 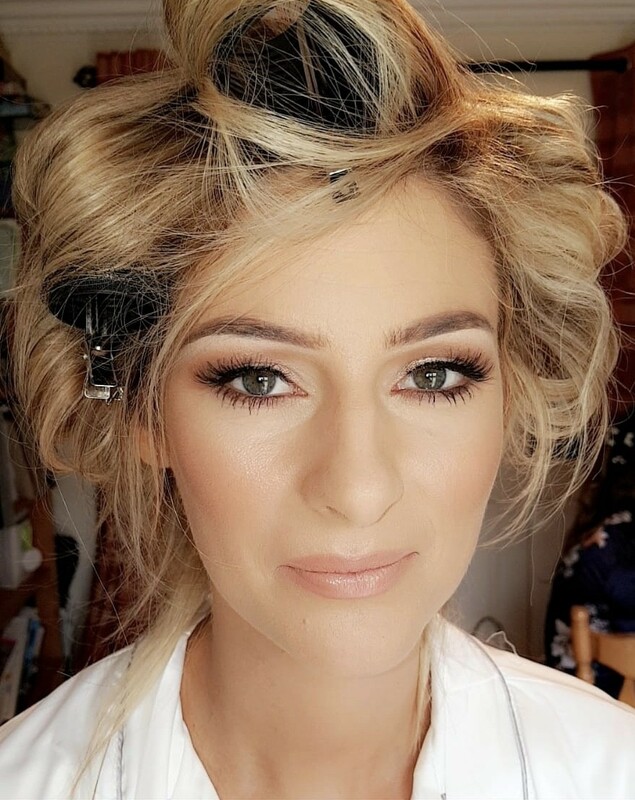 I was so impressed with Danielle's professionalism and her knowledge - she really listened to what I wanted and provided recommendations for things I hadn't thought of (shape the eye brows in the run up to the wedding, false eyelashes, make up for oily skin...). Danielle is a really lovely person, with such a calming presence which is so important on your big day. She did the make up for my three friends and I on the day, everyone was delighted with their make up and it stayed on all day. Not only did she do our make up she also helped us with touching up fake tan - she was so obliging. Everyone who has seen my wedding photos has commented on how lovely the make up is - which is a credit to Danielle. I was married on 12th May 2012. 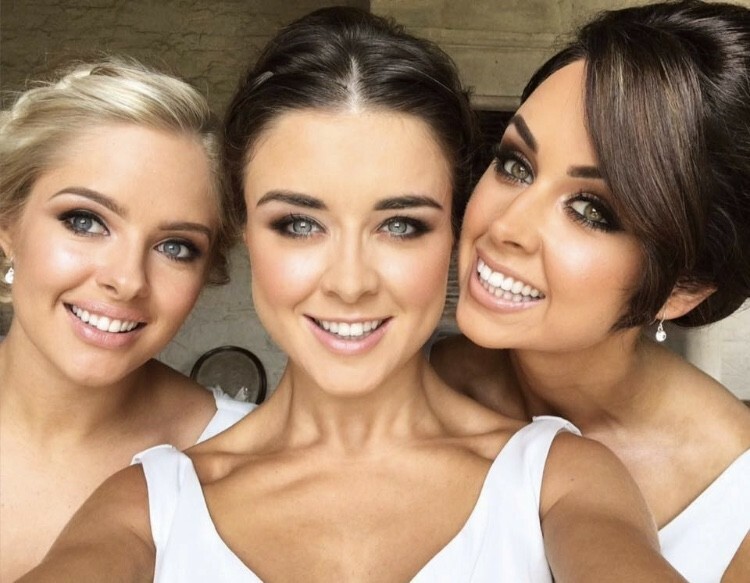 Danielle Mahon was the perfect Professional make up artist any Bride could want. From the first meeting, (trial) Danielle was warm and friendly and listened to what i would like. I explained in a few words and i have to say Danielle gave me exactly what i was looking for, in no time at all. 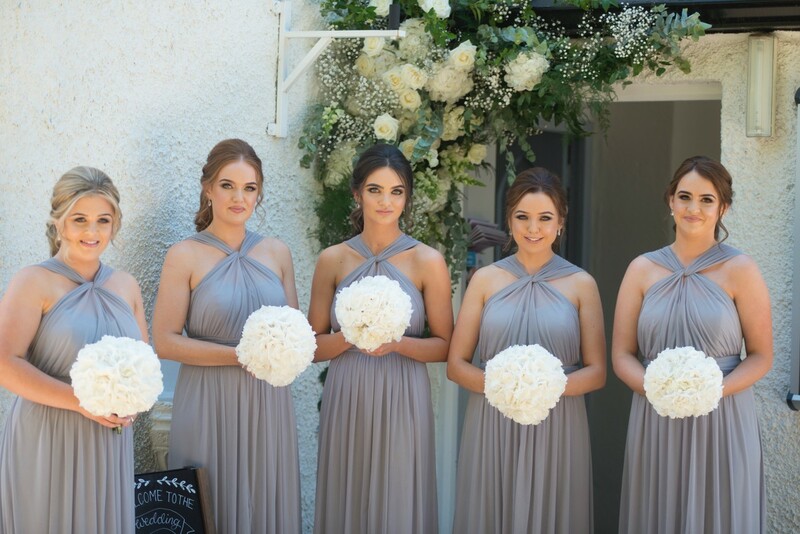 On my wedding day Danielle was punctual, and set up quickly, she brought a calmness that radiated throughout the morning, my bridesmaid, sister and cousin were all very happy with their make up, and i have to say they all looked beautiful. My turn came and all i can say is Danielle knew exactly what i wanted, she did the most fantastic job all the while chatting, and staying calm, the finished product was i looked amazing, my eyes popped out and i was over the moon with how beautiful i looked, my make up lasted all day, i only had to apply lipstick, i loved my bridal look and my makeup looks beautiful in my photos, even the black and white photos. I would not hesitate to recommend Danielle to any bride looking for a makeup artist. From beginning to end it was a pleasure to meet Danielle, and i would definately use Danielle in the future for other events i might be attending. Danielle is an amazing make up artist, So professinal and precise. I have been to 2 weddings in the past 2 months and was thrilled I got my make up done by Danielle. I had never received as many compliments and felt so good about myself plus I didnt have to touch up once, as the make up looked fresh and glowing all day and night. Im totally hooked now and would not dream of going to an occassion unless danielle applied my make up I think I would feel naked!